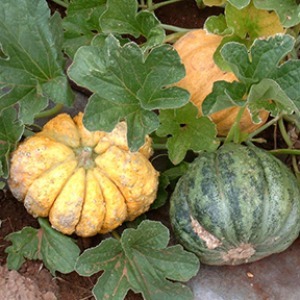 Believed by many to be the same melon referred to by Jefferson in 1774 as the 'Cantaloupe Massa'. The ugliest melon we have come across in a long time, but a favorite anyway around here for intense, rich flavor. As soon as you cut it open and are captured by the amazing aroma, you'll understand why it is one of our favorites. In Italy known as 'Brutto ma Buono' (ugly but tasty).